I wasn't sure whether it should be here, but then I seemed to remember some promo stuff listed from the Yellowcard era (?) so decided to add it in. Definitely needs to be added. 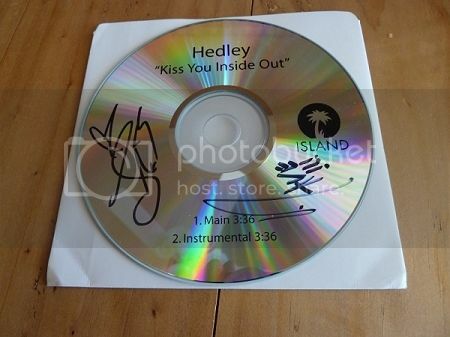 It's nice to have a list and pictures of all "merch", even freebies like these, that fans can add to their collections. 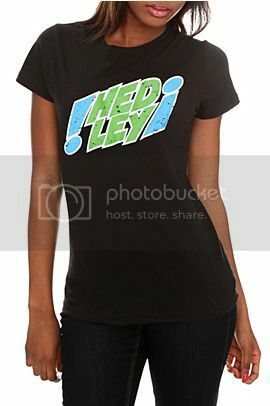 There are 2 Hedley shirts available on Hot Topic right now. This one is on clearance right now. There's a new exclusive mittens t-shirt in the Hedley Shop and they've revamp the tour shirt as well as having the original tour shirt still available. I'll try to remember to get pictures up of these new additions. I didn't spot that the first time I looked! I'm tempted by the mittens shirt too .. I wish they would bring out another sweatshirt especially for the winter months! That would be cool! Anyone buy the mittens shirt? I thought I saw on Twitter that Janet did. wintergreen wrote: Anyone buy the mittens shirt? I thought I saw on Twitter that Janet did. Fits small so it has a nice spot on the shelf. I wanted to buy it but i find the shipping is so ridiculous! What a nice thing for your bosses to do for you Jenna. That's great!! 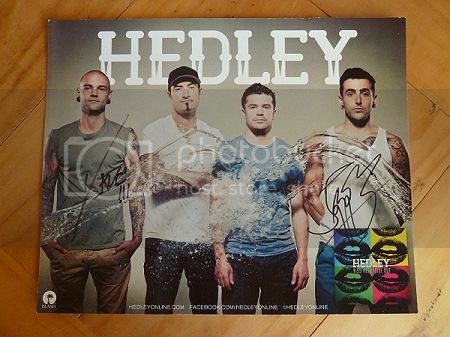 There's a sale on Hedley merchandise!! Not sure how long the sale will last.